Our eShield™ Multi-Layer Reflective Insulation has a core made of high-density fiberglass and is designed to work with your existing insulation to improve the energy efficiency of your home. Our eShield™ Super Green Eco Insulation is blown-in fiberglass made from 100 percent recycled content and is naturally fire-resistant. 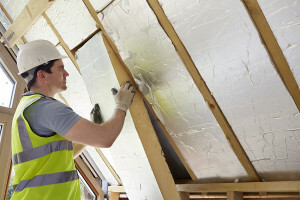 These two types of attic insulation work together to protect against conductive, convective, and radiant heat transfer as well, which will help keep the indoor temperature of your home better regulated, even during summer months. This means your HVAC system won’t have to work as hard to maintain a comfortable temperature inside your home, which can reduce your energy costs. For more information on how attic insulation from Green Machine can help improve the energy efficiency of your home in Ponte Vedra Beach, FL, or the surrounding area, contact us today.